Typhoon Ampil, the 10th this year, is wreaking havoc in China as it continues to move northeast after making landfall in Shanghai. 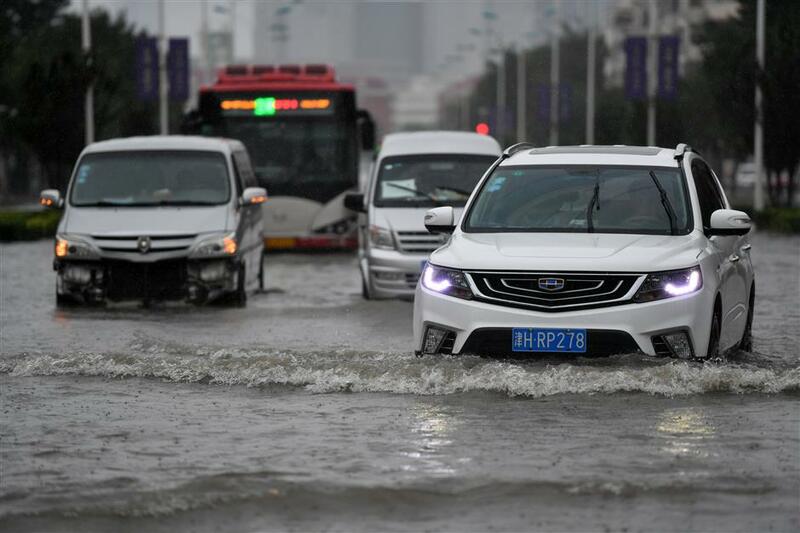 Heavy downpours brought by Typhoon Ampil pounded Beijing and neighboring areas yesterday, causing flight delays and evacuations. More than 18,171 people were evacuated and 165 tourists areas closed across the capital. In Tianjin, heavy precipitation led to severe flooding. More than 260,000 people and over 31,600 hectares of crops in east China’s Shandong Province have been affected by torrential rain triggered by Ampil since the tropical storm hit the province on Monday. Direct economic losses in the province were estimated at 116 million yuan (US$17 million), according to the provincial civil affairs department. The department said that as of 8am yesterday, one person was killed and 134 residents had been evacuated and relocated to safer places. The rain has currently stopped in Shandong, and rescue and relief operations have been launched across the province. Tianjin Municipality saw heavy rain from Monday night until yesterday afternoon, with maximum rainfall reaching 237 millimeters in the downtown area. The municipal meteorological observatory issued a blue alert for typhoon and storms on Monday noon, but upgraded the alert to orange at around noon yesterday. Heavy precipitation has led to severe flooding on several road sections. By 10am yesterday, 19 flights had been canceled and 30 delayed at Tianjin Binhai International Airport. Two women and an infant who were trapped in a house in Tianjin were rescued and relocated by local police yesterday morning. The meteorological observatory of northeast China’s Liaoning Province said that Ampil was now moving northeast at a speed up to 30 kilometers per hour, and most areas of the province would experience precipitation today. Liaoning has issued a blue alert for rainstorms and a yellow alert for natural disasters. The provincial meteorological observatory has warned people living in western Liaoning to avoid outdoor activity and make precautions against mudslides and landslides.